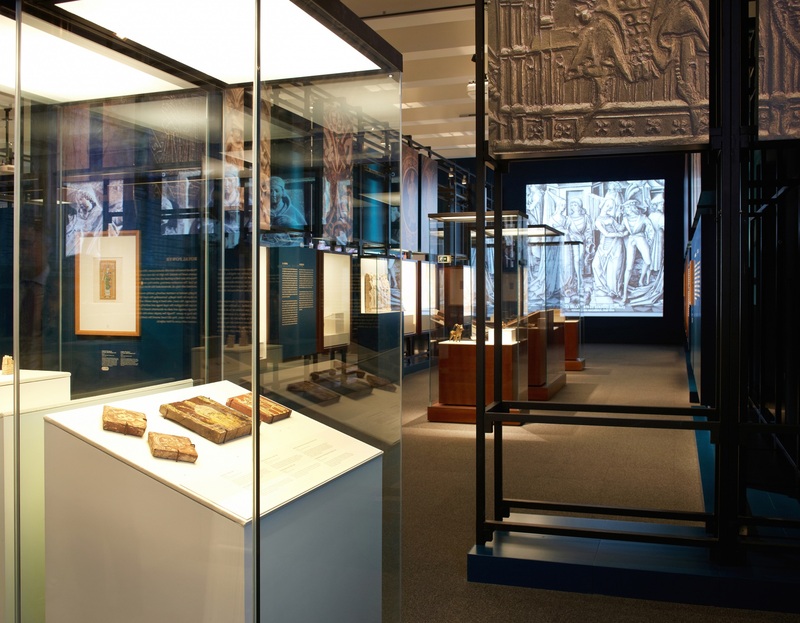 This exhibition from the British Museum about religious consciousness and the vision of the Medieval world incorporated new pieces from the Marès Museum in Barcelona, the National Archaeological Museum of Madrid, and the National Art Museum of Catalonia. 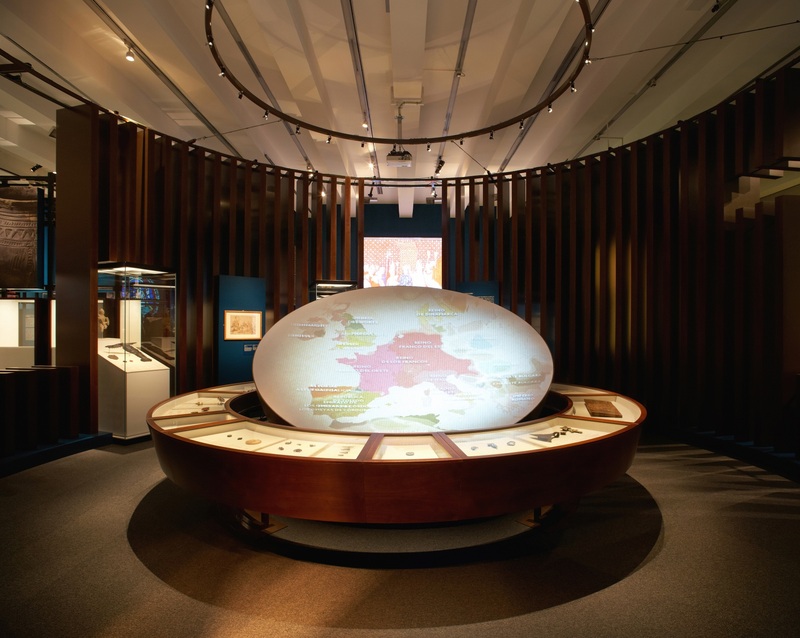 The Pillars of Europe is an exhibition on racial and religious interculturality during Medieval times. During the Middle Ages, the Earthly world was considered a lacrimarum valle, a vale of tears, and the body was a contemptible pile of guts. The cult of the spirit, the afterlife, was what determined the desires and destinies of Medieval society. To evoke this feeling of spirituality, the exhibition is organized in the form of a Latin cross, like the floor plan of a temple. At its centre or transept there is a circular space and a display cabinet that represents the Earth, which Medieval consciousness imagined flat. The transept of the cross represents the power of the monarchy, while the central nave is dedicated to the power of the Church. This nave is subdivided into three areas: life in the city, celestial treasures, and life in the court. 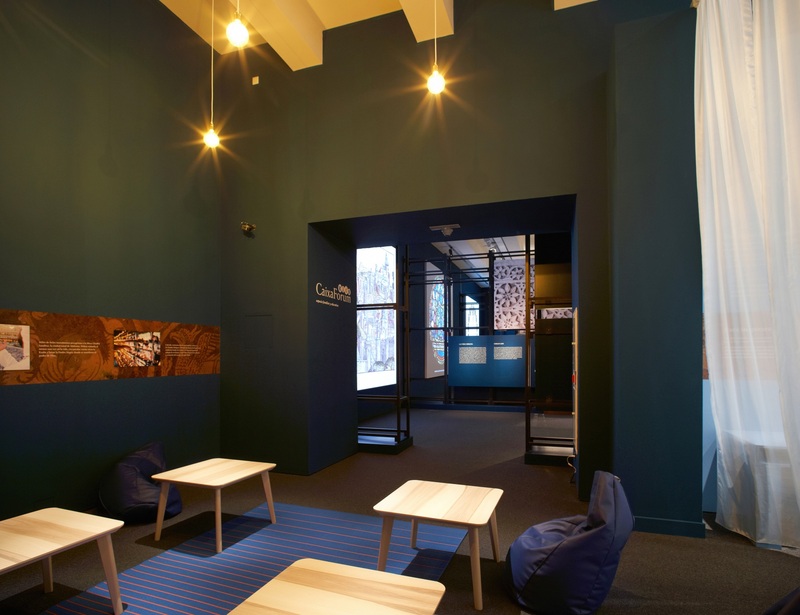 One of our most important contributions was the design of the walls. 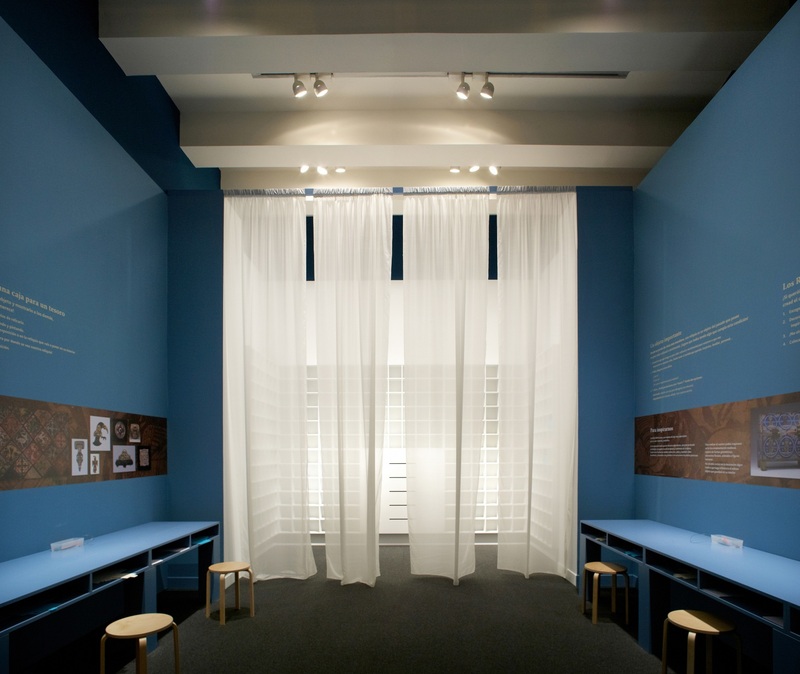 Instead of building high blank walls that would have compressed the space, we proposed exposing the structure of the plasterboard modules that exhibition halls typically use, leaving it visible. 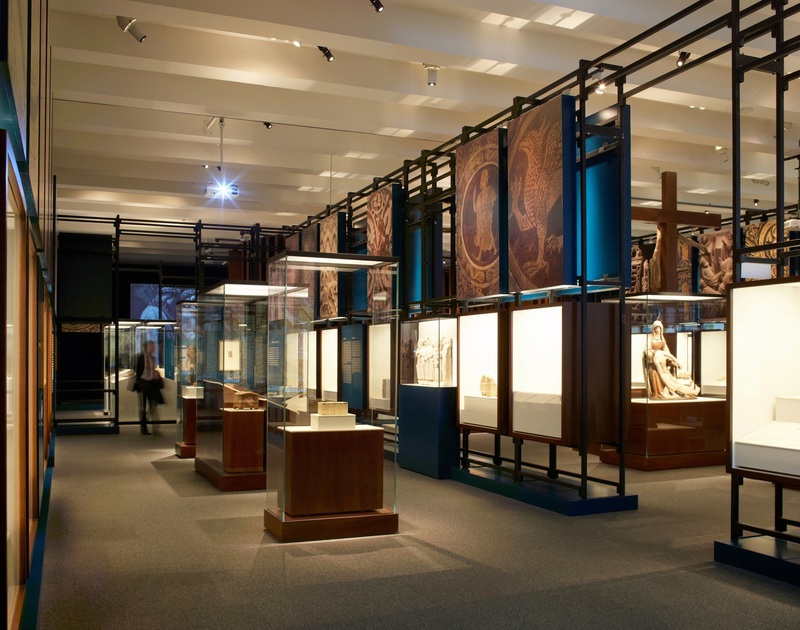 The panels would be hung and the display cases would be fitted into these structural modules, so that gaps and transparencies were generated between the rods of these supports. 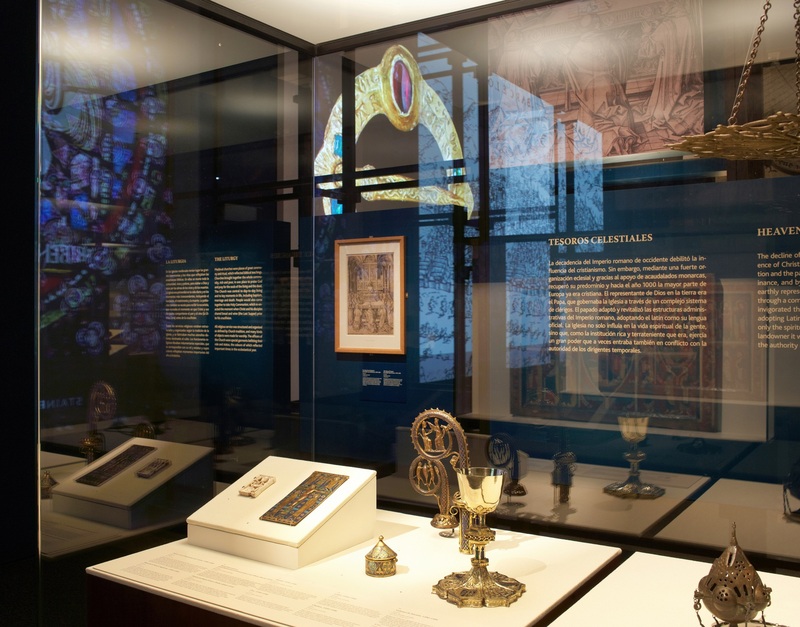 The display cases imitate chapels and niches, and the regularity and verticality recall the stylization of Gothic architecture. 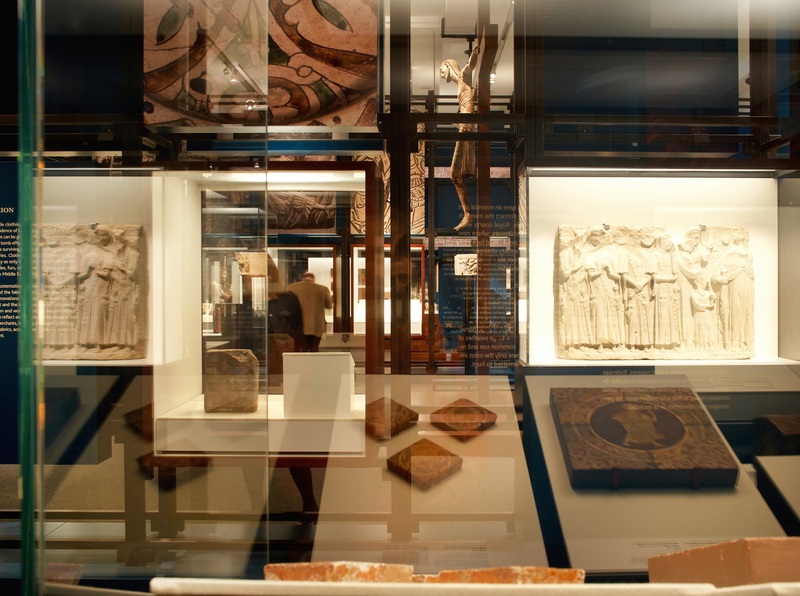 The pieces on exhibited were often small, such as crosses, rings, brooches, medallions, coins, swords, ceramic pieces, polychrome wooden figures or reliefs, and this could cause difficulties for visitors. 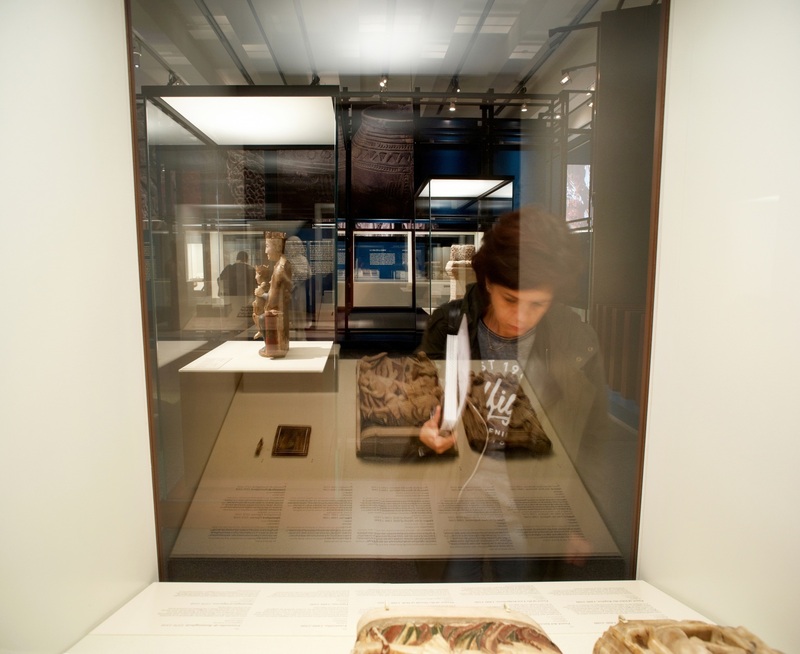 In response, panels were placed above the display cases, showing enlarged photographs that helped to examine the pieces, as well as to identify the contents from a distance.